The Rev. 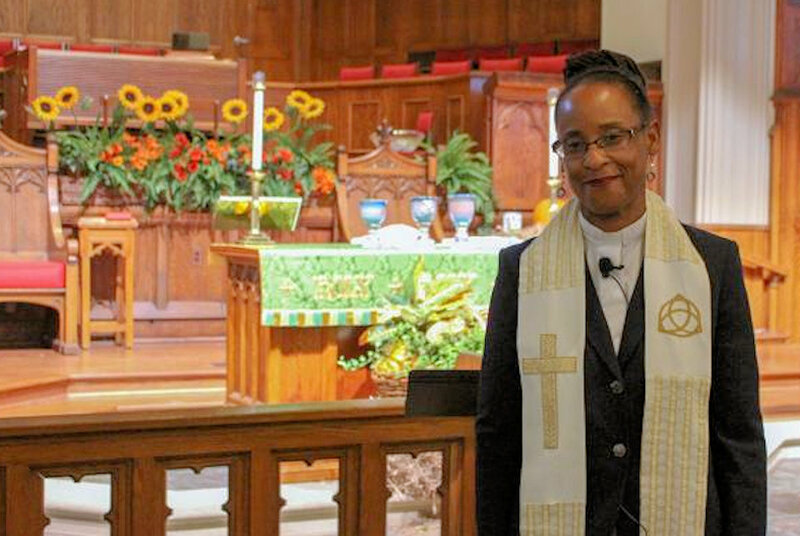 Kennetha J. Bigham-Tsai will be at GC2019 as a leader of the Connectional Table and a clergy delegate of The Michigan Conference. Though the Connectional Table (CT) has no formal responsibility at the Special Session, many will connect my presence to my role as the Chief Connectional Ministries Officer of the CT. No matter where I am, I carry that role with me. Of course, I will be thinking and praying about how the outcome of the Special Session will impact the work of the Connectional Table. In what ways will we come closer to realizing our potential as a world-wide church? How will the outcome impact our efforts to bring greater vitality to our worldwide connection? How will we lead in ways that help our connection focus on the mission that is yet before us? I will be there as a leader of the CT with all of these concerns on my heart. But I also will be there as a member of the Michigan delegation seeking to overcome the divisions in our church. In Michigan, we know something about overcoming division. We were once two annual conferences– West Michigan and Detroit. We tried to come together for years, yet each time, one of us would leave the other at the altar. Finally, at our Annual Conference in 2017, we voted to become one. That union became official on January 1 of this year. Because I am part of an annual conference that has so recently gone through this experience, I know the potential of Christian people to heal wounds and work toward reconciliation. I will be in St. Louis with a delegation that shares that same knowledge and history. I will be there, with them, to break down the dividing walls and to lead for the good of our common mission. I will be there doing all these things as a delegate. 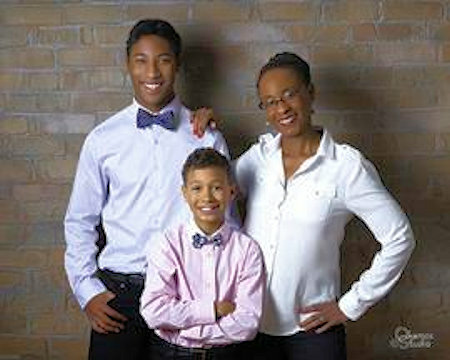 But, more personally, I will be there as a mother of two sons. I baptized our youngest son, Kamden, when I was pastor of University United Methodist Church in East Lansing. He now sings in the church choir and is so proud to be a part of the youth group. My oldest son, Keeton, grew up in that church and is now in his first year of at Western Michigan University. There he is studying engineering and providing leadership for a Wesley Foundation. The church has been the body that has helped nurture my children’s faith. It has been the extended village that has helped raise them. My prayer and my hope are that the church will continue to be the bedrock of their lives. So, I will be in St. Louis as their mother, working on behalf of our church and toward that end. I will be there in my multiple roles, as we all will be. All of the delegates will be in St. Louis in their roles as parents, partners and friends. We all will be there as local church laity and pastors, and as district, annual conference, and general church leaders. We will be in St. Louis in our various roles, but with one fundamental role in common: followers of Jesus Christ. We will be in St. Louis to join together in worship, fellowship and prayer. We will be there not to tear down the church, but rather to build up our Christian community. We will be there to advocate and work for the unity of our Church, whatever that means in this day and context. We will be there knowing that, despite our differences, the most fundamental call that binds us is the call to invite all persons into discipleship under the Lordship of Jesus Christ. My prayer for us all is that we will remember that we are at the Special Session as servants of this Christ, engaging in the struggle for justice and reconciliation that shaped his life and ministry. My prayer is that we will remember our call to reveal the love of God to all people, especially to our children. They surely will be watching what we do and how we interact. They surely will be watching us and wondering if there is really any healing power of the gospel for those who suffer. May the presence of God undergird us in St. Louis. May the love of Christ surround us. May the strength of God’s Spirit give breath to our hope for the future of our church. Amen. ~ Reprinted with permission of The Connectional Table of The United Methodist Church.